A few weeks after Anthony Bourdain’s death in 2018, New Jersey Assemblyman Paul Moriarty proposed that an official Anthony Bourdain Food Trail should be set up to honor the chef, writer, and travel host—after all, Bourdain grew up in Leonia, and dedicated an entire episode of Parts Unknown, season 5 to New Jersey. There were 10 restaurants he visited during the episode, ranging from Frank’s Deli in Asbury Park to Dock's Oyster House in Atlantic City (oysters and stuffed lobster, anyone?). The proposed food trail would take all of those restaurants and turn them into a tangible experience for travelers—and now, it’s officially set to become a reality. While Moriarty first proposed the trail on June 18, 2018, the approval just went through at the end of January 2019, according to The Daily Meal—and it was a unanimous vote. There’s no word yet on what the next steps are, or when the trail will officially be instated. But for Bourdain fans, it’s a great way to connect with the late chef and learn about his roots. "Even after international fame, he [Bourdain] never forgot his Jersey roots," Moriarty said in a statement. 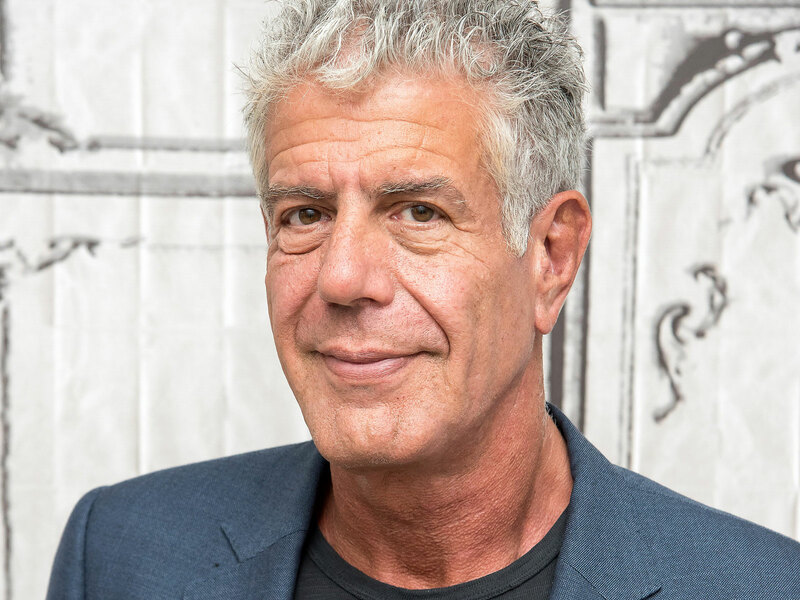 "Each episode, Bourdain brought his homegrown wit, charm, and sense of humanity to his viewers. He became a New Jersey food icon." If you want to check out the trail yourself, buckle up for a road trip. There are multiple seaside destinations, including Barnegat Light on Long Beach Island, Asbury Park, and Atlantic City, which are all within an hour/an hour and a half driving distance of each other. However, you’ll also have to make pitstops in Camden and Fort Lee, which are in south and north Jersey, respectively—so plan your route carefully. With the promise of tasty food like cheesesteaks from Donkey's Place and deep fried hot dogs from Hiram's Roadstand, it'll definitely be worth it.